Intellectual property (‘IP’) rights are highly valuable assets for any individual or business, which are often one of the most crucial assets it possesses. They facilitate the setting apart of a business from their competitors, can be sold or licenced out for significant values which provide important revenue, can be used within a business’s marketing strategy, and can help secure much needed loans as funding. 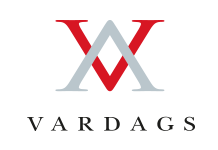 Vardags understands the importance of protecting your IP rights and has a highly experienced team who can assist with disputes that involve typical IP rights such as trademarks, rights to claim passing-off, copyright etc. as well as issues that arise within disputes as a result of increasing digitalisation such as defamation, data protection, and advertising regulation. Our expert team will work with you to develop the best strategy for your case. 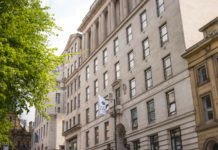 We understand that litigation can be costly and presents a high risk, so we will work to try and resolve the dispute outside of court proceedings where possible. If court proceedings do have to be issued, we have a vast amount of experience in dealing with litigation where there is an IP dispute and will provide you with detailed advice at every stage to ensure you have the greatest chance of success. It is important to always be aware that IP rights generally (including trademarks and designs) come with a prohibition on making illegal threats of suing someone for infringement. If your IP rights have been infringed, or if you have been accused of infringing another individual or businesses IP rights, we can help. I am concerned that someone is using my original work without my permission. If you become aware of someone using your original work in theirs and they are publishing it as though it is their own without your permission, then they may have infringed on your copyright. Their work must be substantially different to yours or they run the risk of interfering with your rights. It is acceptable to use the work of others as inspiration, but if part or the whole of their work is substantially copied from your original work, your rights are likely to have been breached. There is a fine line with copyright law which means infringements are not always clear at first. If you have used facts in your original work which are widely available in the public domain, someone simply using these same facts will not have infringed your copyright. Likewise, copyright law only protects the expression of ideas, so relatively simple and abstract ideas that are quite general will not be protected. Your original expression of an idea, however, will be. If your original work has been copied without your permission, or you have been accused of using someone else’s original work without their permission, the team at Vardags will be able to provide you with detailed advice on whether a copyright has been infringed and the best course of action to take forward to protect your position. I am concerned that someone has significantly copied my trademark. Trademark infringements occur when someone has used/copied exactly the same trademark as someone else, or where they are using a trademark so similar that the public is likely to confuse the two as coming from the same owner, without authorisation. Someone may have used your trademark as inspiration and ended up creating something so close to it that it then constitutes trademark infringement as it erodes the essential distinctiveness of your trademark. One does not have to be aware of another trademark in order to infringe it. As long as there is actual or constructive (i.e. you should have known) notice that a trademark exists it may be infringed. It is important to always be aware that unjustified threats regarding the infringement of a trademark are prohibited, and caution must be exercised at the outset of any dispute as a result. Vardags are fully aware that trademark litigation is often expensive for both parties involved, and therefore we will first look at all of the alternative ways of resolving a dispute before embarking down the road of court litigation. Our expert team will advise you on the best strategy to take forward which looks to protect your interests and give you the best chance of success at the earliest possible opportunity. I am concerned that someone is profiting from my design/work. If you have developed a product or article, design rights protect the appearance of the whole or part of your work. This includes products/articles in three-dimensional form or for two-dimensional designs such as surface decoration and texture. We understand that these designs are often a fundamental asset for an individual or business and therefore protecting design rights is important. In the case of a registered design right, the owner has the right to prevent others from using their design where another design is so similar that is does not create a different overall impression, even if another person did not copy their design and created their design independently. Acts such as making, importing, and stocking the registered design etc. constitute infringement and since 2014 deliberate infringement carries criminal liability. Even in the case of an unregistered design if you can meet certain evidential requirements, your design right will prevent the copying of your design. The difference here to a registered design is that if the alleged infringer created their design independently and did not actually copy the unregistered design, then there is no infringement. Our team will provide you with detailed advice based on the specific facts of your case, advise you as to the options available and risks to proceeding with litigation, and will work with you to create a strategy which will protect your rights in the most cost effective way. I am concerned that my employer has retained property I have created. 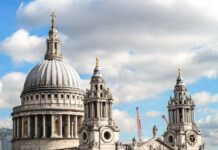 Legislation in England and Wales usually favours employers where there is a doubt as to whether an employee or their employer owns IP rights for the employees work. There are multiple statutory provisions which automatically give an employer the ownership of patents, copyright, database rights, unregistered designs and registered designs for works created by their employees in certain circumstances. If you are a consultant however, the rights to the product of the consultancy work will belong to you as the consultant unless there is an express contractual agreement to the contrary. The first place to check is always the document granting the patent or registering the design or domain name, as this will set out who the owner of the right is. An application to register a patent or design or trademark can be opposed or challenged where the employer or employee feels that the application has been incorrectly made or made in bad faith. The team at Vardags can advise you on whether as an employer or as an employee you have ownership of the rights to the property created in the course of business. 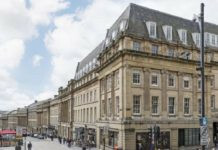 If you have an arguable case that property you have created is owned by you, we will advise you on the initial steps you can take to protect your rights over that property right up to trial strategy if required, and will develop a strategy with you to try and resolve the dispute as quickly and cost effectively as possible.